BBC NEWS | UK | Magazine | Should time be called on public drinking? Should time be called on public drinking? An alcohol ban on London's transport network sparked a party on the Tube that got out of hand. What does such a ban say about British attitudes to public drinking and what's the law in other countries? The weekend's Circle Line party was an unforeseen consequence of Boris Johnson's election pledge to curb antisocial behaviour. One of his first policies as new Mayor of London was to ban alcohol drinking on the city's underground network, buses, trams and Docklands Light Railway. And on the night before the first day of the ban, people opposed to it marked their last night of legal drinking by throwing a party that left a trail of broken glass, 17 arrests and six closed stations. Mr Johnson's approach is not new in the UK. Police officers and community support officers have the power to confiscate alcohol being consumed in a public place. And Coventry was one of the first UK cities to introduce public alcohol-free zones in 1987, to meet concerns about crime and disorder. "It has been such a success that the scheme was rolled out across the city under the Designated Public Places Order in 2006," says Trevor Pepper, operations manager for CV One, the not-for-profit company which manages the city centre. In the past, supporters of such crackdowns have pointed to binge drinking and alcohol-fuelled outbursts of bad behaviour to justify restrictions. The scenes from the Tube on Saturday may have strengthened their belief, coming a few weeks after clashes between Rangers football fans and police in Manchester last month. Fans had been drinking in the city centre. Mr Johnson believes that tackling so-called minor crime helps to get a grip on serious offences. And Don Shenker, chief executive of Alcohol Concern, says public drinking can affect people's enjoyment of public spaces. "Taking a firm approach to public drinking in this way sends a strong message that public drunkenness is socially unacceptable." But others believe public drinking can be a joyful part of British culture. 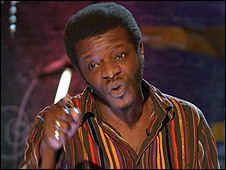 Comedian Stephen K Amos isn't convinced by the London ban, arguing that drinking alcohol is part of the British psyche. "I find it weird going to places like New York because you see people carrying brown bags with alcohol inside - so everybody looks like a drunk," he says. "This is just the 'nanny state'. Drinking is part of the culture in this country. "People like to have a drink before going out, they don't get drunk on the Tube. They don't sit going round and round on the Circle Line getting drunk." It's very rare that drinking on the Tube gets out of hand, he adds, and a ban won't curb excessive drinking. So what is the law in other countries and what is thought acceptable there? It isn't illegal to consume alcohol in public, however people rarely do so. The social culture tends to involve drinking around a table with friends and family, but there are exceptions. 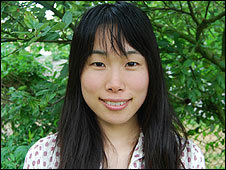 People do drink outside on special social occasions, such as festivals - for example, the Hanami cherry blossom parties in spring. And some people may drink at the beach and in stadiums when watching sumo wrestling, baseball and football, but this would also be as part of a group. Masayo Nota, 26, a teacher from Tokushima, says she would feel "embarrassed" for a person if she saw them drinking in a public place, or on transport outside of these social norms. Miss Nota says she "would worry enough to avoid passing them on the street". "Japanese people like alcohol and often drink until they are drunk, but there are appropriate times and places to do it and people respect these conventions. 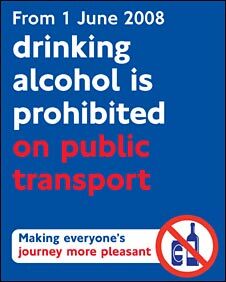 "It's not illegal to drink on public transport because the general feeling is why would you want to do it? "And how could drinking in the street be fun?" Kevin McGwin, who works on the Copenhagen Post newspaper, says it is common to see groups of young people drinking beer in a wide variety of outdoor locations. Parks, streets and the public transport system are all places where it is usual to see alcohol being consumed - particularly at weekends. "It isn't permitted on public transport but Danes do do it anyway - they typically scoff at authority. So the rule isn't really enforced." He says the rule is only applied if a person is deemed to be unruly, in which case a fine worth about £50 would be issued. However, such behaviour is, he says, extremely rare. "Danes don't really drink to excess and they are rarely antisocial. "Groups of drinkers are mostly happy and I've never felt threatened." He attributes this to the fact that children are often allowed to drink alcohol at home under parental supervision, which means they often learn to drink responsibly and don't develop the habit of drinking to excess with friends. Mr McGwin, who is from Maine in the US, points out that the rules on alcohol in his adopted home are "much more relaxed" than in his country of origin where drinking in public is usually frowned upon. Drinking is banned in public places in Australia and, according to Aussie Patrice Simpson who lives in London, most people abide by these rules. "It's rare for people to be seen out drinking in Australia. People generally stick to the rules because they know that's the deal." She says there are the rare occasions when a daring young man might try to smuggle a pint out of the pub but, for the most part, consuming alcohol in the streets or on public transport is unheard of. The 30-year-old, who works in marketing, has lived in London for four years and admits to being shocked when she first saw Britons drinking alcohol in public places. If the ban was lifted in Australia there would be six months of openly drunken behaviour "before the novelty wore off", she says. "We have a culture of drinking and enjoying our barbecues, but it is different to the British way. "It'd be a very big jump for us. We drive so much more in Australia than people do in the UK, so alcohol isn't as ingrained in our culture."